I was very nervous to see this movie because it was by the same people that made The Witch (2015) which scared me a lot. I was making the whole group I went with nervous because I was so apprehensive about it. Honestly, it was kind of disappointing and weird but that might have been because I was so scared to begin with. I feel like this movie is pretty famous? I liked it a lot! It was really interesting to watch each of the character’s true natures come out as the movie progressed. I actually watched this before but had to cancel my Hulu subscription. Since I have it back, I have started watching again. It is so good! It fills the hole left by my completion of all my other comedy shows. I love to laugh and always need a light hearted show. 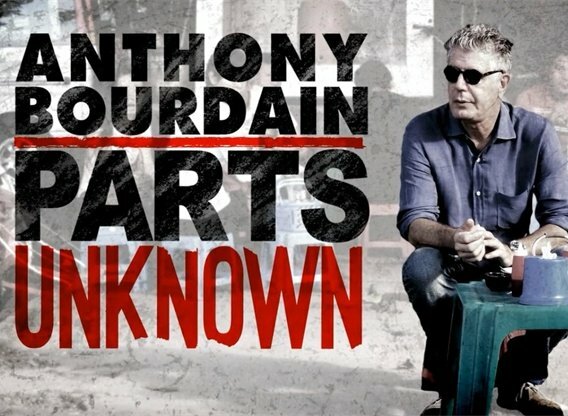 Fiancé started watching this after Anthony Bourdain’s tragic passing. I have caught on since then. It is really relaxing and sardonic. Although it hurts my heart to see how hard Anthony Bourdain took some things–things he considered fake or disingenuous– it is really lovely to see how passionate he was about cultures, lives, and the food of the people that actually lived in the places he visited. I think he tried very hard to truly represent real life in each place he went. I think he wanted to open people’s eyes. My most popular post was All The Books I’ve Read So Far in 2018. I’m glad this post was my most popular! It was really fun and refreshing to look back on what I read. Only four books! And one was on an ebook sale for only 3 dollars (Half Bad.) Fiancé and I are doing very well on this front saving for the wedding. I have also been trying very hard to read more books from the library. I love reading on my kindle and so I get the library books on my kindle so I can use it. These are the two I have gotten in June. I haven’t started Wintersong yet but I am excited. I know it doesn’t have the best reviews but I am so excited for a story about Goblins. I have been avoiding buying anything that hasn’t been for the wedding. This last week, though, Fiancé really spoiled me and got me some really pretty things I want to show you! Let’s chat! What was the best thing about your June? What was your favorite book? Let me know in the comments.